“I look upon all the world as my parish,” famously said John Wesley (1703-1791). One imagines he had no idea that the United Methodist Church – one very large aspect of his spiritual legacy – would be in ministry in 60 different nations around the globe. Within the last 20 years, a notable shift has occurred from the UM Church being a declining North American-centric denomination (6.9 million members) to one that reflects a growing 40 percent of our membership (5.2 million) found on the continent of Africa. An additional 200,000 members are found in the Philippines, Europe, and Eurasia. The trajectories of Methodism’s growth and decline in various time zones around the globe will continue to have massive implications for the future of the denomination. Those who have ignored the demographic shifts thus far are at a great disadvantage when it comes to interpreting the direction of contemporary Methodism. The 2019 General Conference of The United Methodist Church was simultaneously translated for delegates in French, German, Korean, Spanish, Portuguese, Russian, and Swahili. The skilled bank of interpreters illustrate the unique international DNA of the denomination. 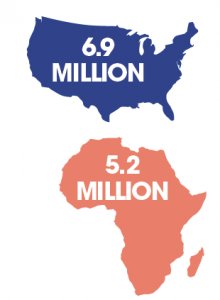 The Christian population in Africa in 1900 was 10 million. Currently, it is 631 million. For the first time in history, the African continent is home to the greatest number of Christians on the planet. There are more Christian hymns being sung on Sunday mornings in Swahili, French, and other languages spoken in Africa than in English. In St. Louis, that new reality explains why a notable 30 percent of the 864 delegates are Africans – with 48 delegates alone coming from the North Katanga Conference in the Democratic Republic of the Congo. And yet, that reality was never fully expressed because of visa issues for international delegates. “Officially, General Conference was to have 864 delegates,” reported Heather Hahn of United Methodist News Service. “But of the voting delegates, 31 were absent, primarily because they were unable to gain visas.” That was announced in St. Louis by the Rev. Gary Graves, secretary of General Conference. One assumes that all 31 of the missing international delegates will have their visa issues ironed out in time for the 2020 General Conference in Minneapolis. The percentage of international delegates will continue to grow as United Methodism grapples with issues of just representation. When the denomination meets next year, 55.9 percent of the delegates will be from the United States, 32 percent from Africa, 6 percent from Philippines, and 4.5 percent from Europe. Quite simply, the energy, vitality, and growth within international Methodism is flourishing in different time zones, nations, and languages beyond the dominant American name brand Methodism of yesterday. According to the most recent statistics available from the General Council on Finance and Administration (GCFA), the shift will define the dynamic of Methodism. 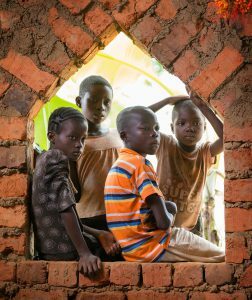 • More United Methodists reside in the Democratic Republic of the Congo (2.9 million) than in the Western, North Central, and Northeastern Jurisdictions combined (2.6 million). • More United Methodists worship in Nigeria (520,212) than in all 12 states found in the entire Western Jurisdiction combined (295,308). • Twice as many United Methodists worship in the western African nation of Cote d’Ivoire (677,355) as in Virginia (319,822). • More United Methodists worship in Mozambique (136,707) than in Northern Illinois, which includes metropolitan Chicago (81,999). The axis of Methodism is shifting. The unmistakable tilt of the sociological and spiritual reality found in the newly emerging United Methodist Church is found in African cities such as Harare, Lubumbashi, Abuja, and Freetown. These urban epicenters may be the next Londons, Bristols, and Epworths in a tectonic shift of Wesleyan leadership. The United Methodist Church gained more than 143,000 members over the past few years. All of the growth, however, took place in two of the African regions: Congo and West Africa. Every other region of the world declined in membership. Congo gained more than 429,000 members. It is now the largest region in the church, exceeding even the Southeastern Jurisdiction. West Africa followed by gaining nearly 200,000 members, coming to over 1.7 million, making it the third largest region in the world, behind the Southeastern Jurisdiction. This shift will cause many issues of tension to rise to the surface as different cultures make their voices heard. The comparative analysis between United Methodism in the Congo Central Conference and that of the Western, North Central, and Northeastern jurisdictions combined is worth revisiting. These three U.S. jurisdictions currently have a total of 23 bishops, compared to only four Congolese bishops. That kind of unjust and lopsided representation within a power structure such as the Council of Bishops is in desperate need of rectifying. The 23 bishops from the three U.S. jurisdictions represent one bishop for every 113,735 members. For the Congolese, there is one bishop for every 749,811 members. John Wesley’s declaration that the “world is my parish” has been a point of spiritual inspiration for generations in the Methodist movement. Today, it serves as a notable challenge for a denomination in dozens of nations. But it also serves as a compass for the course that United Methodism will take in the future. Please do not forget the thriving UM churches in Cuba. Our Florida congregation has been blessed through our peer relationships with Cuban fellowships, and their vitality infuses our venerable community congregation with vision and hope. See https://www.umnews.org/en/news/cuban-methodists-are-packing-the-pews. I believe that you will find that these are not United Methodist but the Methodist Church of Cuba. That seems to be what the article says and I know friends who go there on mission trips and they work with the Methodist Church of Cuba. The Methodist Church in Cuba is independent from the United Methodist Church. my wife is from South Korea. Although her parents were Buddhists she became Methodists at a young age. I know there are some large Methodists churches in South Korea. If one included the Methodist churches excluded from formal inclusion in the UMC in places like Centeal and South America and other Asian countries, the numbers and trends would be even more dramatic. The Methodist Church in Venesuela organized in 2007 with 12 churches and called itself the United Methodist Church of Venezuela. Now there are over 50 churches and the number of new believers is huge. The GC must rectify the current imbalance of Bishops and find a path for incorporation of our brothers and sisters in other countries like Venezuela. Thank you, Steve, for this article. I was recently at a district meeting with our bishop of a conference in the Northeastern Jurisdiction. The bishop was commenting that in our jurisdiction even though the jurisdiction had lost membership it had been allotted the same number of delegates. I had got a hint that this self avowed liberal bishop had been surprised that they hadn’t lost delegates but was over- joyed that they had maintained their power. I am familiar with a church in this conference that in 33 years has produced 4 young men going into ministry. The first two had gone before the board of ordained ministry and were informed that they had gone to a too conservative undergraduate school and would not be ordained in this conference if they didn’t attend a United Methodist seminary. The third one had made many requests to talk to the bishop about some issues and was rejected. He contacted a bishop of another denomination and within 24 hours had a meeting. You can guess which denomination he joined! The fourth one waited until he had finished seminary to contact the conference and was told that the seminary was not acceptable even though it had been not too many years before. Even the bishop had believed that it still was acceptable! He is a pastor at a small local church that is thrilled to have a young vibrant man as their spiritual leader. Is there any wonder that our UMC has become so very liberal. The “Good Ole Boys” on board of ordained ministries have done an effective job of weeding out the conservatives. This is just one example on one conference but I can imagine that this one church’s experience has been played out all around the denomination in this country. I had a missionary many years ago say that there will come a time when the places we are sending missionaries to will be sending missionaries to the US. I remember thinking that would never happen but it has! Is it possible to restart Methodism in Australia? I am looking forward to African Methodist churches sending missionaries to the United States to ignite the fading spirit of the churches here. We are ripe for revival.